One of the most impressive benefits of the Ram 1500 that you want to drive is the fact this is a pickup truck with a lot to choose from. Take a look at the pricing offered for this incredible truck and you’re going to have the ride you want on the roads around Broadview Park, FL. There are three different engines and a long list of features to make this the truck that’s right for you to drive wherever you want to go on the road. 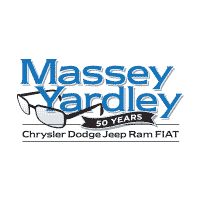 When you see the team at Massey Yardley Chrysler Dodge Jeep Ram Fiat in Plantation, FL, you’ll be able to take a look at the various Ram 15000 pricing offers that can put you behind the wheel in Broadview Park, FL. Check under the hood and decide whether you need the 3.6-liter V6 with 305 horsepower and 269 lb.-ft. of torque, the 3.0-liter turbodiesel V6 that has 240 ponies and 420 lb.-ft. of torque, or the massive 5.7-liter Hemi V8 that produces 395 horsepower and 410 lb.-ft. for the driving experience, you want to enjoy when you head out on the road. There are eleven different trims for you to choose from with the Ram 1500 to give you a wide range of pricing for your drive around Broadview Park, FL. At the base, Tradesman, trim level, this truck brings you a locking tailgate, automatic headlights, a tilt steering wheel, air conditioning, a six-speaker audio system, USB ports, and auxiliary inputs. This is the truck that makes you crank your own windows and adjust the mirrors by hand which means if you want to have something better in this truck you’re going to need to move up to one of the higher trim levels and choose the right one for you. Because there are so many different choices you can make with the Ram 1500, you’ll be able to find the one that has the qualities and features that make a huge difference to you on the roads you drive every day. You can choose the 8.4-inch touchscreen infotainment screen for the Uconnect system, a heated steering wheel, rain-sensing windshield wipers, an air suspension and more. Choose the right pricing for you and the features you want so that you can have the driving experience you need in Broadview Park, FL. The team at Massey Yardley Chrysler Dodge Jeep Ram Fiat in Plantation, FL can make sure you have the right Ram 1500 and the pricing you need to make the drive right for you on the roads in Broadview Park, FL. Come in and see this team today and select from the different features, the three engines, and the body styles that will make it possible for you to build the truck that is the one you’ll want to enjoy when you head out on the roads in your area with your truck.